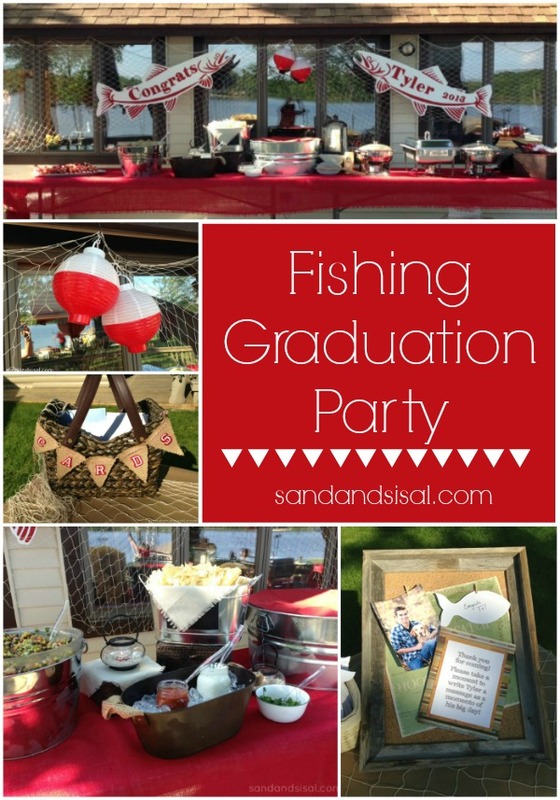 My friend Stacy’s son, Tyler, just graduated and his family pulled together an amazing Fishing Graduation Party that I just had to share with you. Tyler’s mom, aunts, and grandma are life long friends of mine, all with a keen eye for design and DIY. Tyler has had a passion for fishing his entire life and is a champion fisherman in Michigan, winning multiple awards. 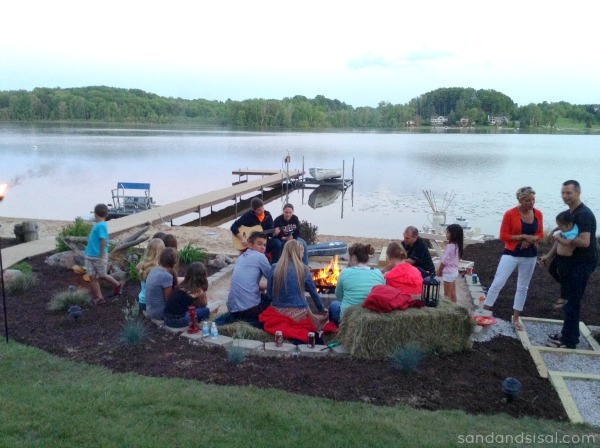 The party was hosted in the family’s lake home back yard. Upon arriving, you are greeted with a fun welcoming table. 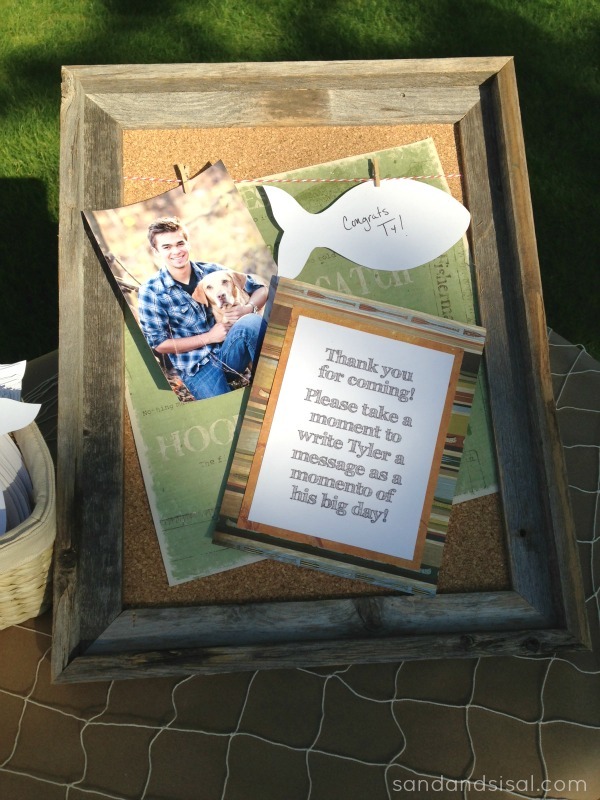 A basket full of fish cutouts and pens are set out for guests to send Tyler well wishes and loving thoughts. 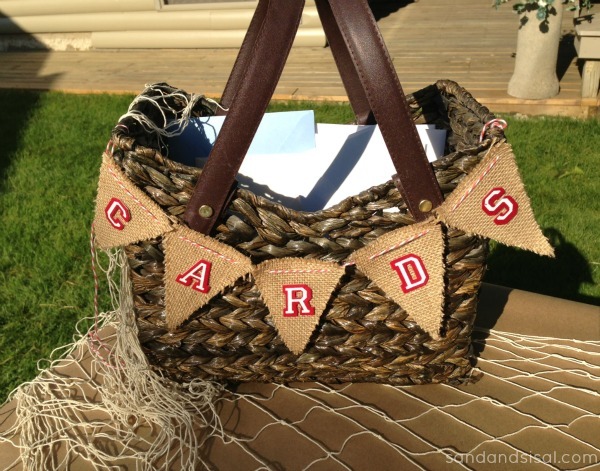 A second basket adorned with a simple burlap and baker’s twine banner tells guests where to place their gift cards for the graduate. 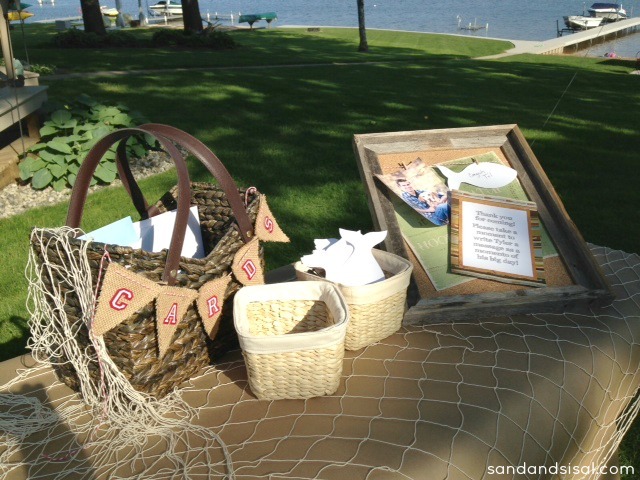 Fishing net is draped all throughout the party, emphasizing the fun fisherman theme. 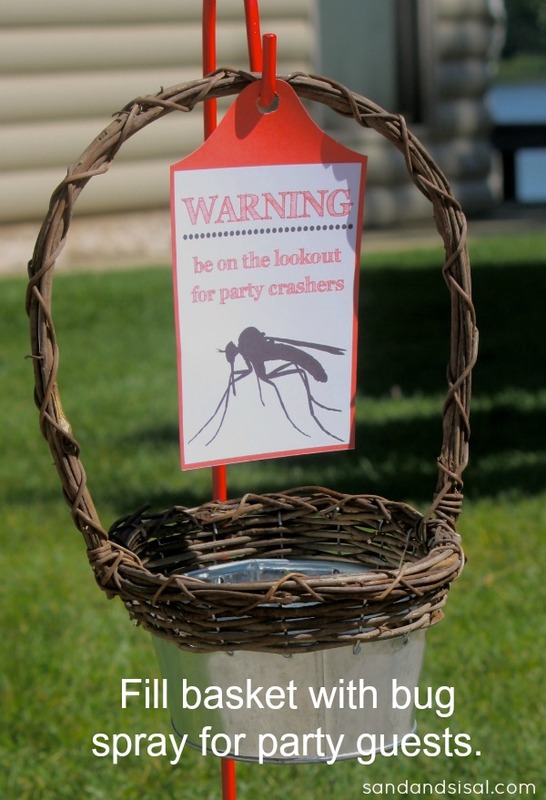 This basket for bug spray was such a clever way to help guests enjoying themselves outside without pestering little party crashers! 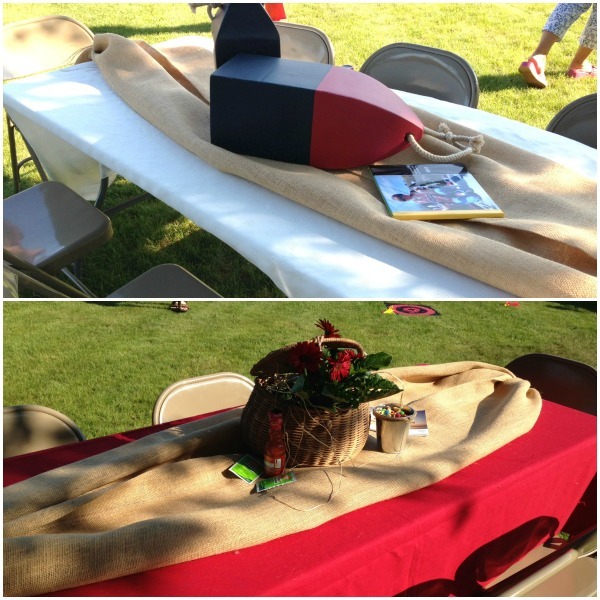 Two long food tables were covered in red burlap as their tablecloths. 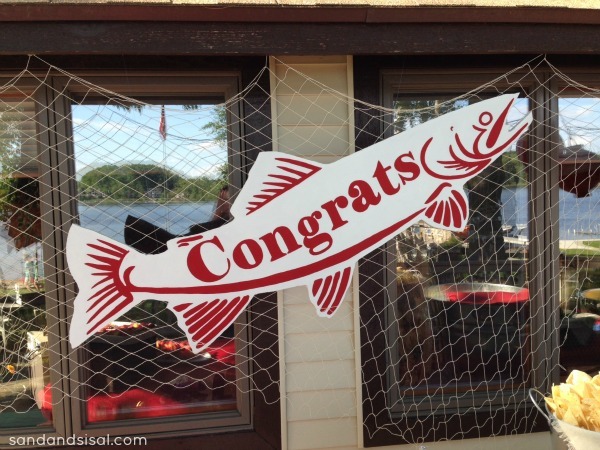 Fish net draped the back wall with fun fish signs designed by Tyler’s Aunt April who also is an event/party planner at Events by April Personalized. 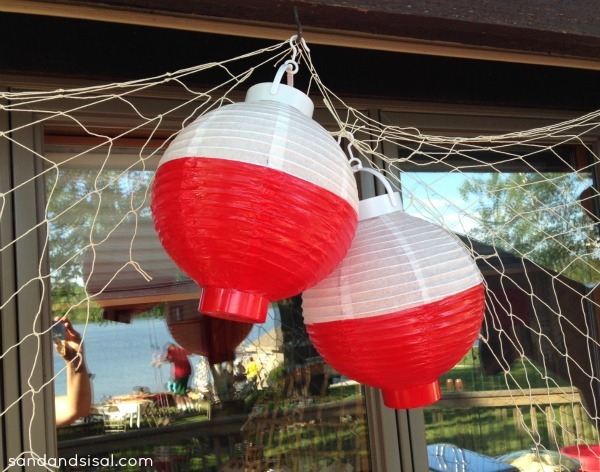 Simple paper lanterns were painted to look like giant fishing bobbers! 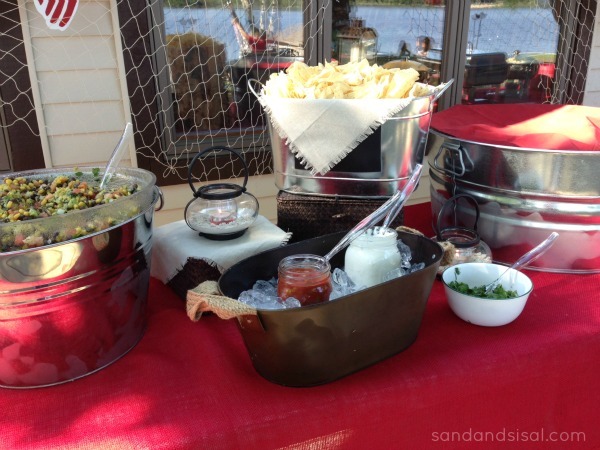 The ladies added interest to the food table by using galvanized pails and buckets in various sizes to hold the food and added height by propping dishes on top of baskets and crates. 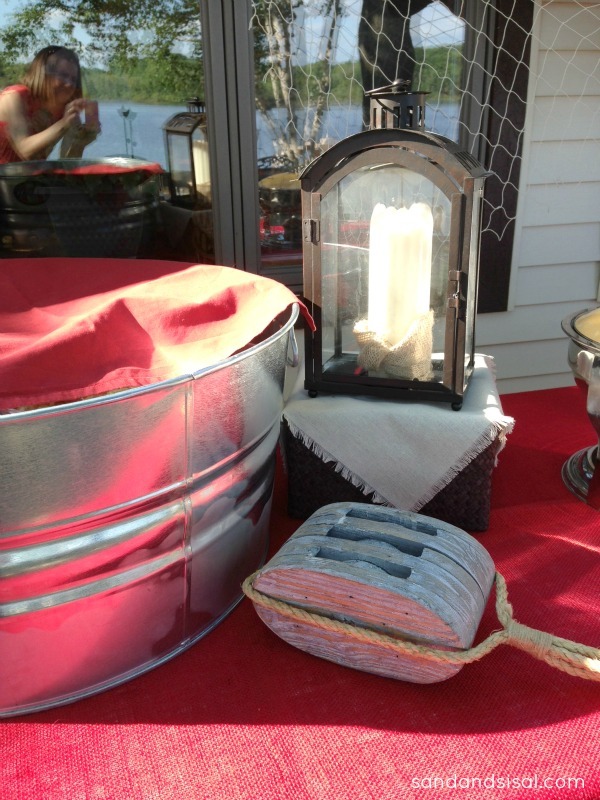 Mason jars were filled with yummy condiments and lanterns lit up the night. Guest tables were covered with white or red tablecloths and more burlap swagged the center of each table and bundled with twine on the ends. Fun nautical accessories and photo albums served as centerpieces. Tyler has a heart for helping others and recently went on a mission trip with Living Water International where they help build wells and provide drinking water for those who don’t have any. To honor his service, his aunts wrapped a large tree with burlap ribbon and clipped pictures from his mission trip on it. 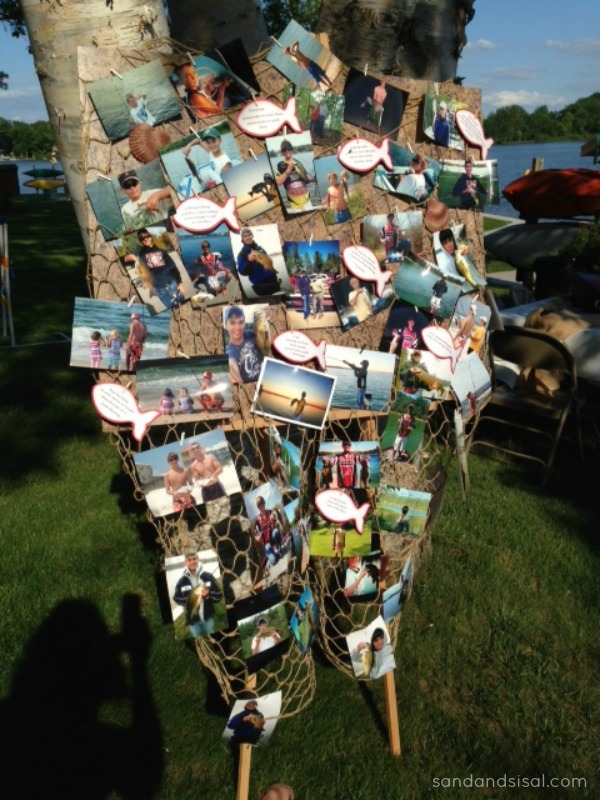 Fishing net and pictures of Tyler growing up covered an easel. Random fish quotes printed on fish cut outs were clipped to the netting also with tiny little clothespins. My friend Stacy and her sister Jen painted an old, grungy orange table, that was discarded behind the house, white and distressed and glazed it a bit with stain. 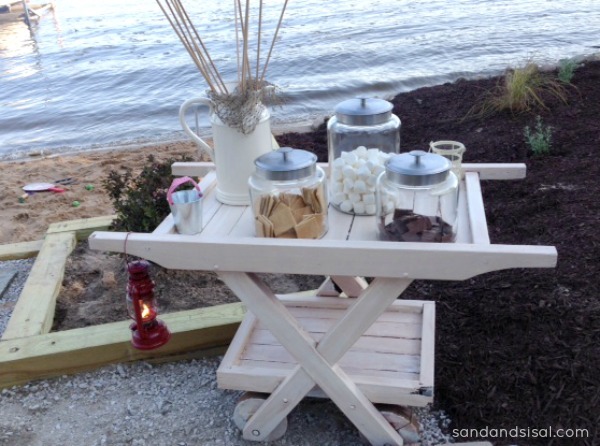 It made an adorable s’mores station! Every detail was thought of, even the marshmallow sticks were displayed in a milk pitcher with netting and the s’mores ingredients were displayed in clean glass jars. Beautiful! 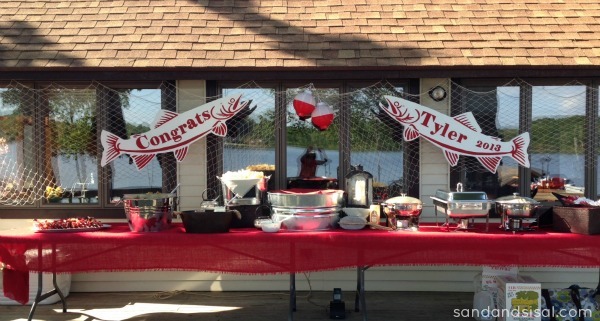 Friends and family had a fabulous time celebrating Tyler’s special graduation day! Thanks Stacy, Jen, April, and Judy for allowing me to share Tyler’s party with the world! You all are some amazingly creative ladies! Congrats Tyler! We’re proud of you! Adorable! Great job Stacy & Jen (and Judy and Amy). And congrats to Tyler! Love all of the thoughtful details. The World Market lanterns painted like buoys was genius :). Adorable!!! I LOVE IT ALL!! 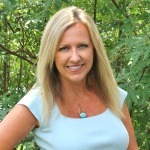 Thank you Kim, what a wonderful blog you have. I feel so honored that you chose Tyler’s special day to write about. Yes, every detail thought of! Love it! Looks like it was a great time! How fun all the decor 🙂 Super cute. Wow, I’m so impressed with all of the details that went into this party. Tyler is a very handsome young man, too. His Mom must be very proud! I’m so glad you captured the party on film to share with us. It’s comforting to know there are other mom’s out there with sons as obsessed about fishing as mine. So excited to see all the party decorations, etc come together! Nice ideas!